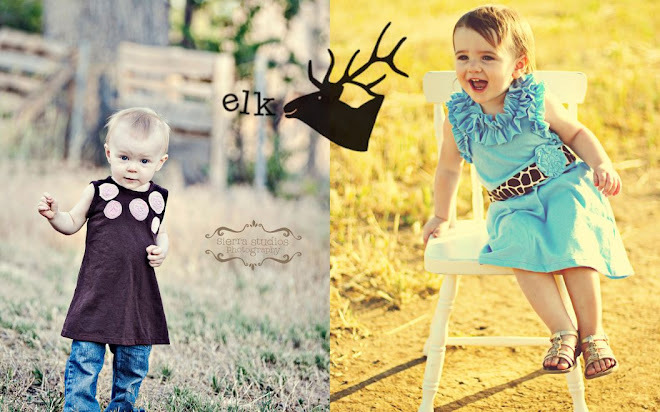 Today's giveaway is from one of our sponsors that has been with us since the beginning, Elk Dresses. We got to meet Marjory in person this last Spring....and she is the nicest ever. Not to mention that she makes beautiful clothing for little girls. Really and truly! All you need to do to enter is head over there and then tell us what darling outfit you would choose in the comments. Good luck!!! See you tomorrow! I love the Girls Skirt - Pink Stripes and Rainbow Zig Zag! Very Very Cute! I love the Skulls and Ruffles dress, but I would let my very opinionated 2 year old make the call! Beautiful clothes! I love the skirts and the leggings! Very cute and I LOVE knit items for little kids! The red roses dress is my favorite! I would choose Ariel for sure!!! Thanks for the giveaway! Wow, the leggings! Love everything! So hard to choose! My girls would lo e the mermaid dress. What a great giveaway - thanks for sharing her shop! I love the Ariel dress for my little red head for sure! I like the sunshine yellow dress! I love the Color Wheel Circle Skirts. Love the Color Wheel Circle Skirts too ! We would have to pick one of the color wheel circle skirts! Lovely! Giraffe on Light Blue is really cute! We'd have to go with the orange and pink leggings--Grace's favorite colors! I love the pink stripe and multi color chevron skirt! The skulls and ruffles! Adorable!!! the halloween ruffle bib dress! super cute! I love the pink and rainbow szig-zags skirt! Oh! What adorable dresses! My favorite is the cream and lavender damask. Just gorgeous. I think I would have to go with the cream and lavender damask dress or maybe the pink and rainbow zig-zag skirt. Fun! I love the color wheel skirts! I love Red Skulls and Gray Stripes, so darn cute!!!! The Halloween dress is cute and would save me from having to make one myself! lol! Thanks for the chance to win. The dress with bows or the one with stars. gold and cream girls dress! I love the pink stripe and rainbow zigzag skirt - so cool! The cream-and-lavender damask dress is too adorable! I'd get the teal and white capris! Cute! The grey/white stripe dress with red flowers is to die for! Check out that yo yo kimono dress!! Love it! I love the Skulls and Ruffles dress. It is so darling and yet so punk. I really like the Halloween dress! I love the Little Mermaid/Ariel dress, it looks so comfy!! I like the gold and cream dresss! So pretty! I would choose the Black Gray White Stars and Ruffles. I would choose red roses dress and those darling teal with white polka dots leggings! I love the white, grey, and black striped dress with roses. So cute! I would love the red roses dress for my little sweetie! I would choose the sunshine yellow dress! Love the yellow and blue together! The Sunshine Dress and the Star Dress are way too cute! I love the pink leggings. I love the cute Halloween dress!! My daughter would love the white, grey, and black striped dress with red rosettes. I would love the gold and cream one for my daughter. so cute! !